HB 336 caps application fees at $100, even though the cost of processing an application varies from place to place. This bill prevents municipalities and local governments from putting a stop to application approvals and permit issuances. 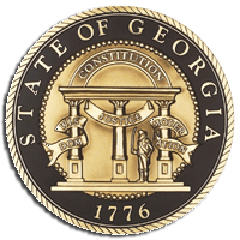 If a community plans to issue a permit, they are not allowed to require the applicant to offer Internet access for municipal facilities as part of the approval or to ask for any payment beyond “cost based fees.” In short, the state is using HB 336 to strip local communities of any authority to control their own public spaces or processes in order to be certified as a "broadband ready community." The bill passed through the House Energy, Utilities & Telecommunications Committee on February 21 and it’s now on the General Calendar waiting to be considered by the entire body. If you live in Georgia, now’s the time to contact your Representative and tell them that if the bill comes before them, they should vote it down. Rather than taking away local communities’ ability to control their own spaces, the state legislature should give them wide authority to do what they need to improve local connectivity.